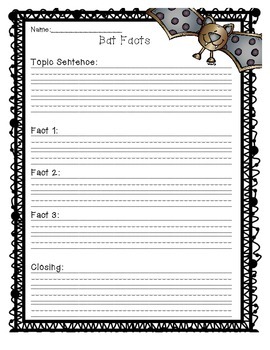 This is a worksheet that helps your students compose their rough draft for a Bat Facts Report. I am going to use this with my first grade class. If you download feedback is greatly appreciated!